Your freshman year of college is right around the bend — you're probably so excited, and you should be! Your college years are unlike any other time in your life, and you have every reason to look forward to it. 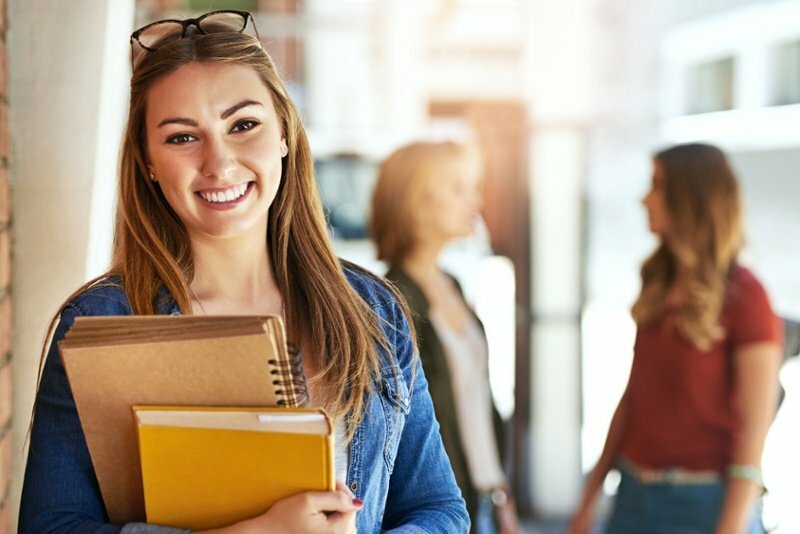 If you're feeling a little anxious about starting college without knowing anyone, there are several steps you can take to make friends before you arrive on campus and before you even move into your residence hall! 1. SOCIAL MEDIA Platforms are Your Friend. If you're like most rising first-year college students, you probably have a social media account of some kind. Thanks to social media, it’s easier than ever to connect with other incoming student before you even arrive on campus! Class Facebook pages can provide an easy, low pressure way to get to know someone, making those first-day introductions a little less intimidating. Clubs and intramural sports, academic and professional societies, and community outreach groups use these same social platforms to engage with future members. Do your research and don’t be afraid to reach out to any groups that interest you – it could be the best decision you make as you prepare for life on campus! 2. Take the Extra (Friendly) Step at Freshman Orientation! Attending freshman orientation is a requirement. By attending, you'll have the opportunity to tour the campus, speak with various members of the campus community, sign up for classes, chat with alumni and current students who have advice for you, and meet other incoming students just like you! So, while you're attending this mandatory orientation, go the extra mile by making the effort to get to know a few other rising freshman students. You can nicely introduce yourself, find out what kind of classes they're signing up for, and exchange numbers if you and they are comfortable doing so! 3. Connect with your COLLEGE ROOMMATE. Living with a roommate is one of the most exciting and most fun parts of living on campus. In college, it's so important to expand your social awareness, so living with someone different from you is so important to your overall growth. That said, if you plan on living in one of your college's residence halls, be sure to check out your school's student portal so that you can access your roommate's email address or phone number. Chatting with your roomie before arriving on campus is also a great way to collaborate on what kinds of decorations to bring. So, don't be shy! You can schedule a time to "hang out" on FaceTime or Skype with your future roommate to get to know each other a bit more before moving in! 4. Consider Applying for an on-campus job. Whether you're in a work-study program or you're looking to make some extra money, there are plenty of student positions available on your college campus. Some of the most common places to work on campus include dining services, residence halls, and the admission office. You may be asked to arrive on campus a few days early for job training, and this will give you a little bit of extra time to get to know some fellow students! 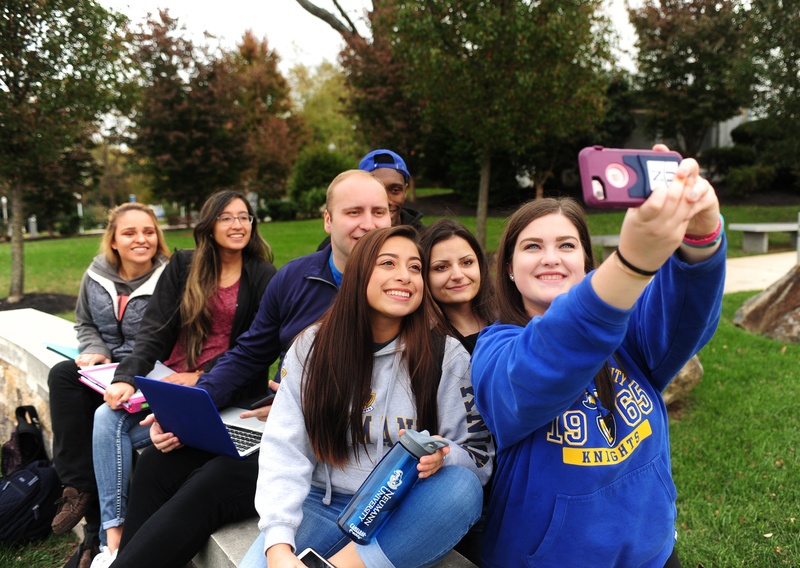 Join our Neumann University community! College is a new beginning in a new place with new people, and you have the opportunity to create a new community for yourself! But seriously, don't be too nervous — whether you're a first-generation college student, a transfer student, or an international student, there are plenty of Neumann-bound students who are looking to make meaningful connections with the people around them. With a little friendly work, you'll be well on your way to making potentially lifelong friendships.